Overview: Leading supplier of electronic cigarettes and U.S. made e-liquids. Starter kits, batteries, cartomizers, tanks and more. Overview: Everything you need… from starter kits, e-liquids, batteries and atomizers. Street Address: 4892 Van Gordon St.
Overview: Leading electronic cigarette company with an excellent reputation and track record. Overview: Leader in the e-cigarette and e-liquid industry. Halo proudly designs, innovates, and manufactures quality American made products. Overview: Perl vaporizer offers the ultimate vaping experience in an intelligent mini vape pod mod. Enjoy enhanced flavours and a beautifully designed premium vaping device. Visit www.perlvape.com and get the best smooth vaping experience. 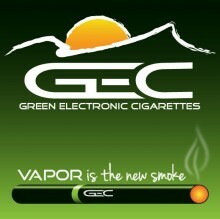 Overview: Top electronic cigarette brand offering starter kits, e-liquids, parts and accessories. Overview: Vapor4Life is a respected electronic cigarette company with a variety of different products, include 100+ e-liquids. Street Address: 4100 Commercial Ave.